An interesting case has recently appeared on Reddit and later on was reposted on Mashable. On Tinder, where you swipe uninteresting profiles to the left in the course of a second, without giving it a second thought, it’s hard to get somebody’s attention. The main character of our story decided to take advantage of the fact that you can leave rates from 1-5 and reviews for a profile there. 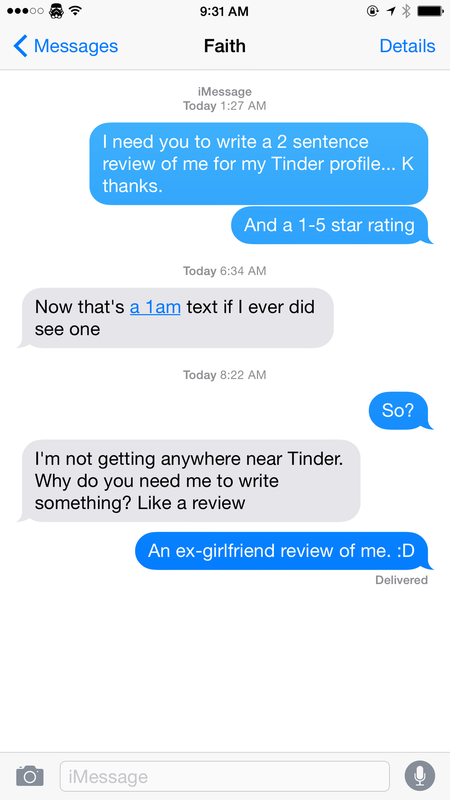 It seems like a weird idea to leave a feedback on your ex but that did not stop Jake. At 1 a.m., he messaged his ex-girlfriends asking them to comment on his profile. This was not just the end of the story, even though the girls reacted to his text messages in a pretty different way: starting with “Why on earth do you want me to do that?” as the most neutral and ending with some pretty rude ones. 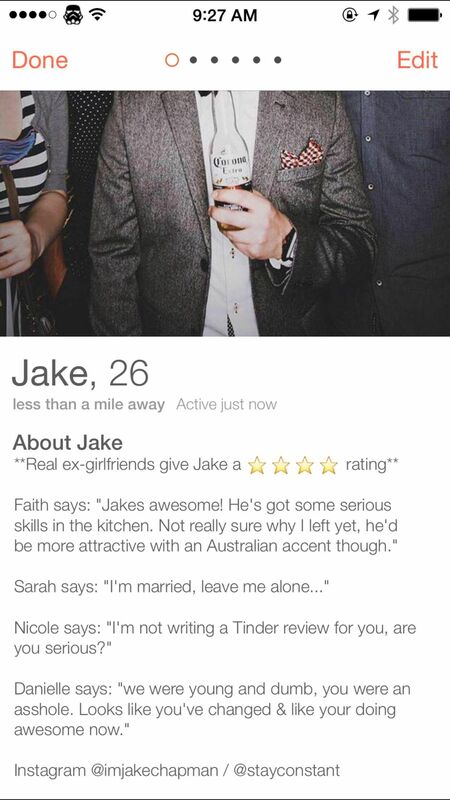 However, the girls who Jake Chapman remained on good terms with left quite positive feedbacks on his profile. But the story continued again. One of Jake’s former girlfriends, Taylor, got in touch with him. She was surprised and hurt that Jake did not ask her to leave a public review. After that it was Jake’s turn to be surprised. Apparently, the girl read the other reviews, compared Jake to her current boyfriend and decided to break up with the latter. 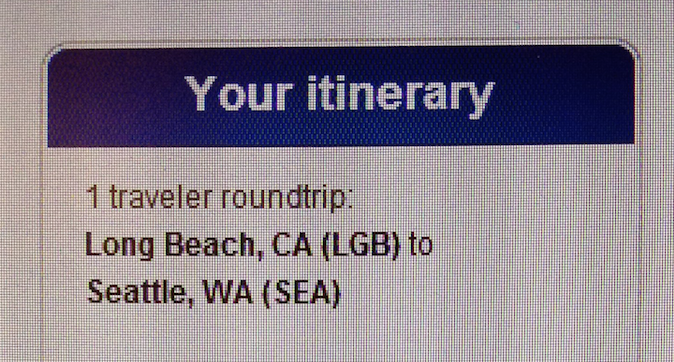 The story got even more interesting when Taylor booked a ticket to Seattle where Chapman lives. The latest comments on Reddit say that the guy got his ex-girlfriend back and flames of love are now burning again. So, what is the conclusion we are supposed to make here? Can this dating app actually find you somebody to looooove?